Athanasia Tzika and Michel Milinkovitch have participated to an international study demonstrating that the emergence of mammals from egg-laying reptiles has been facilitated by the capture and recycling of a viral gene. This gene – of the Syncytins family – has been the key for the development of an evolutionary innovation: the placenta. Indeed, Syncytins in mammals are involved in the fusion of mononucleate trophoblasts, the specialised cells that form the maternal side of the the placenta. It has been suggested that mammalian syncytin genes are of viral origin: they would have been captured during the evolution of early mammals and recycled for a very crucial function in placentation. The cell–cell fusion function of syncytins is consistent with their ancestral retroviral envelope gene status. This hypothesis requires the syncytin genes to be present in all placental mammals. 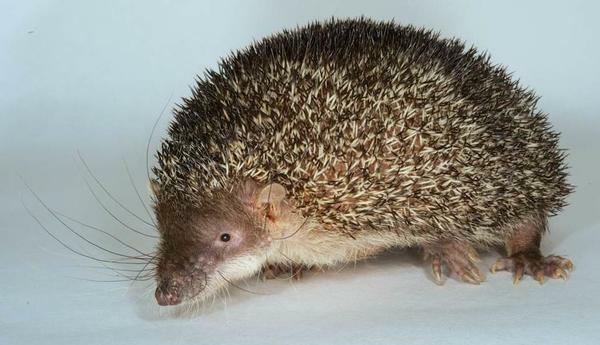 Combining DNA/protein sequence analyses, developmental biology, and molecular biology assays, an international study shows for the first time that functionally-active syncytins are present in tenrecs that emerged ancestrally during the Cretaceous terrestrial revolution.